The state of New South Wales has outlined plans to fast track the development of AUS$2.6 billion worth of transmission capacity in preparation of a host of solar and wind assets connecting to the grid. 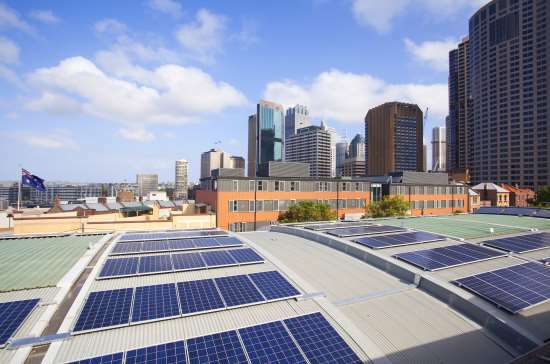 The plans were drafted after several renewable energy developers in NSW have struggled recently to bring new solar and wind farms online due to congestion on transmission networks, which has slowed down financing for new projects. “For every 20 projects looking to connect only one can. So we’re going to change that,” said NSW Energy Minister Don Harwin. The state has $27 billion worth of solar and wind projects, with 20GW of further capacity in the pipeline. NSW is working with transmission operator Transgrid to speed up planning and feasibility work on four projects needed between 2022 and 2024 to boost connections between NSW and neighbouring states Queensland, Victoria and South Australia. Renewable energy provides around 19% of Australia’s total power generation, with this figure set to rise to 74% by 2040. However, for now the country still relies on coal for the majority of its power and this is evidenced by the existing grid, which is more geared to transmitting power from coal-fired plants compared to energy from wind and solar farms.